On Board Couriers OBC - Easy booking... sameday hand carry onboard courier service worldwide, Call for a free instant quote! The On-board Couriers (OBC’s) have become vital links in transport logistics to guarantee on time delivery whenever conventional logistics are not quick enough or as efficient. At Pony Express OBC we work to achieve the fastest possible routing, and travel solution for your consignment with expediated customs clearance, with all formalities taken care of. 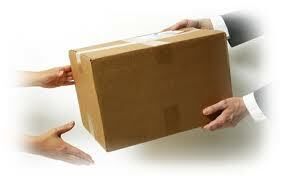 We can also arrange insurance of your cargo whilst in transit to delivery point. Our team understands that when a client requires an OBC, that time is not af an abundace. To make things quicker the client can instantly get a quotation from our site, saving the best part of an hour if was to ring around. We will plan the journey from collection to delivery, making all the necessary bookings and reservations. Our dedicated OBC Team will keep you informed every step of the way during your delivery. The Client calls our dedicated OBC Team at 14:00 and provides details of the job. The requirement is an urgent collection of a tender document from an address in London. The Tender needs to be delivered to the recipient as soon as possible in Dubai. The deadline for delivery is 12:00 noon the next day. Our OBC Team quickly calculate that they have 19 hours with international time differences, and 15 minutes later the customer receives a quotation by email. The Client accepts the quotation and replies to confirming that the job is on and issues a purchase order. The OBC Team quickly despatch a courier on route to collection address, meanwhile flights and necessary bookings are made. The booking reference numbers, e-tickets and boarding passes are sent to the courier by email to produce at the airport. Once our onboard courier has collected the important cargo, he travels to the departure airport where he will park and fly. To save time all bookings for park and fly have already been made by the OBC Team and booking reference numbers relayed to the onboard courier by email. As the OBC Team has already calculated that the onboard courier will be arriving at the airport just in time to board the next flight out to Dubai, the onboard courier is booked on a flight that is departing in 50 minutes. Once the onboard courier is airborne with the tender securely carried in hand carry luggage in the cabin, the OBC Team at our control centre call the client to confirm the progress. The OBC Team are now keeping tracks of the flight using state of the art flight tracking software. As soon as the flight lands in Dubai (DXB) the onboard courier calls control to confirm safe landing. The onboard courier is instructed to call control again as soon as immigration and customs is cleared and is in arrivals lounge. The courier confirms that he is now through immigration and customs. The onboard courier is greeted by a waiting taxi that has already been booked by the OBC Team in the UK. The courier and taxi driver have full delivery address and are instructed to make the journey without any stops and as fast as possible. 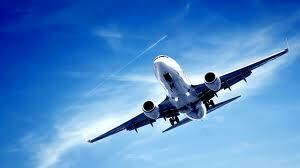 The onboard courier arrives at the destination and successfully makes the delivery within the deadline. The tender was delivered and submitted 3 hours before close of submission. The vital call is received at control from the onboard courier that the delivery has been completed and POD paperwork signed. The OBC Team quickly relay the confirmation of delivery to the Client by phone and sending copies of the POD by email. With the delivery a complete success, the onboard courier is rested in a pre booked hotel and flies back to the UK the following day. To successfully make the delivery it has taken a dedicated team careful planning and most of all great teamwork.The onboard courier becomes the face of the operation but is backed by a team of experienced colleagues.